Also I have two components with aura:id to use component.find() in doInit function. That is the reason why I can't create container div (.find() doesn't work in this case). What is the best way to display spinner in my component only? Try to do it with some CSS changes and change use unique aura:id for both Do something like this ..
Not the answer you're looking for? Browse other questions tagged lightning-aura-components lightning css lightning-design-system or ask your own question. 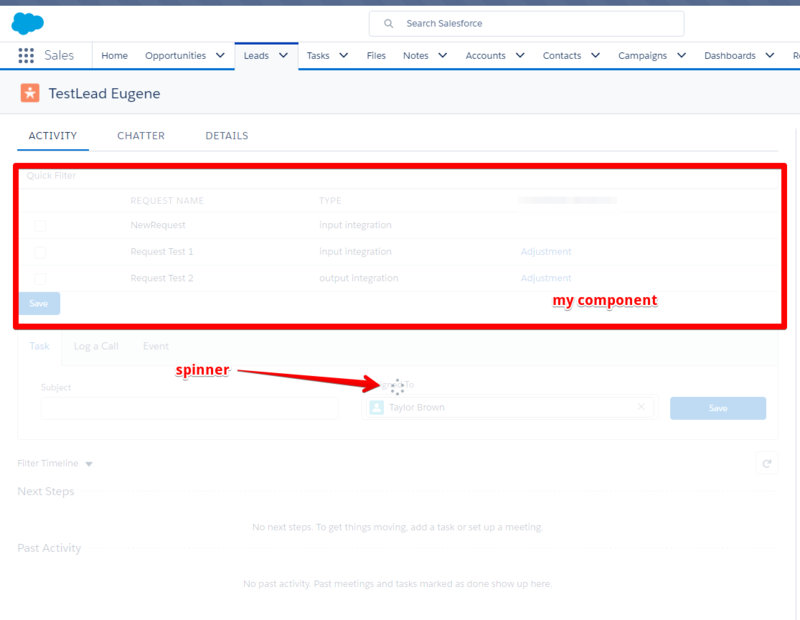 How can I display a spinner when switching between lightning:tabset tabs?